Our Coaches are our product; that’s why we’re so picky about whom we choose to teach your kids. We’ve got some pretty high standards that must be met before they become First Shot Coaches. We’re proud to introduce our Coaches who guide our classes and make learning lots of fun. His winning smile and genuine enthusiasm has earned him lots of fans. He is a hands-on motivator and his passion is evident in his consistent performance. He brings a rich background in working with kids and understanding how best they learn. Val has been with First Shot for 12 years, working his special style of instruction. Moved into the Head Coach spot soon after starting at First Shot six years ago. He is the epitome of what responsibility is all about. 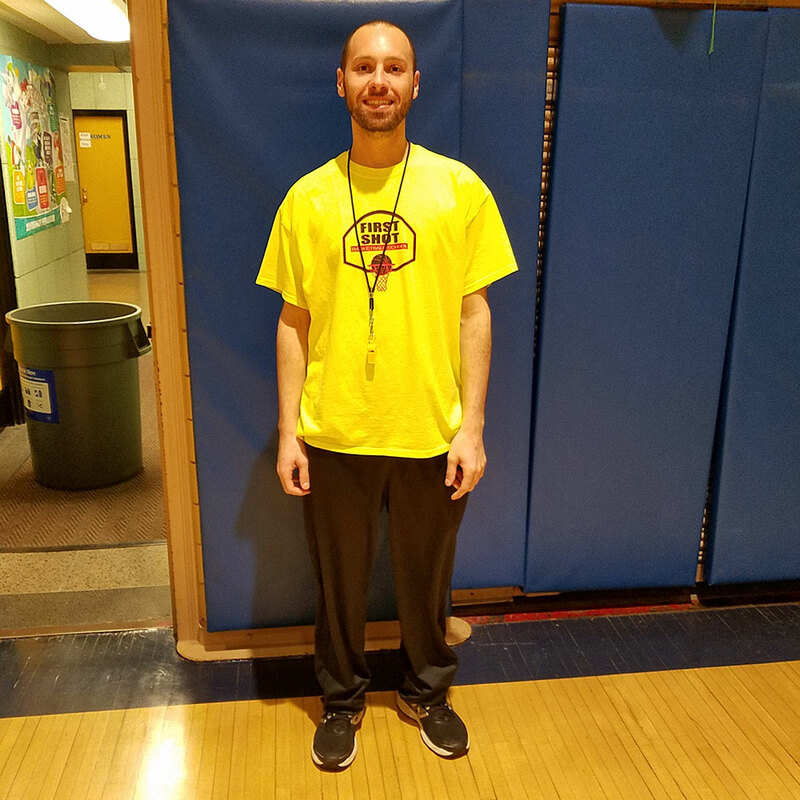 Scott is an elementary school teacher, with an in-depth background in playing basketball and teaching sports. His patience and humor make him a special First Shot leader. Joining the ranks of our female coaches almost three years ago, Salena is a bright spot in our weekend classes. 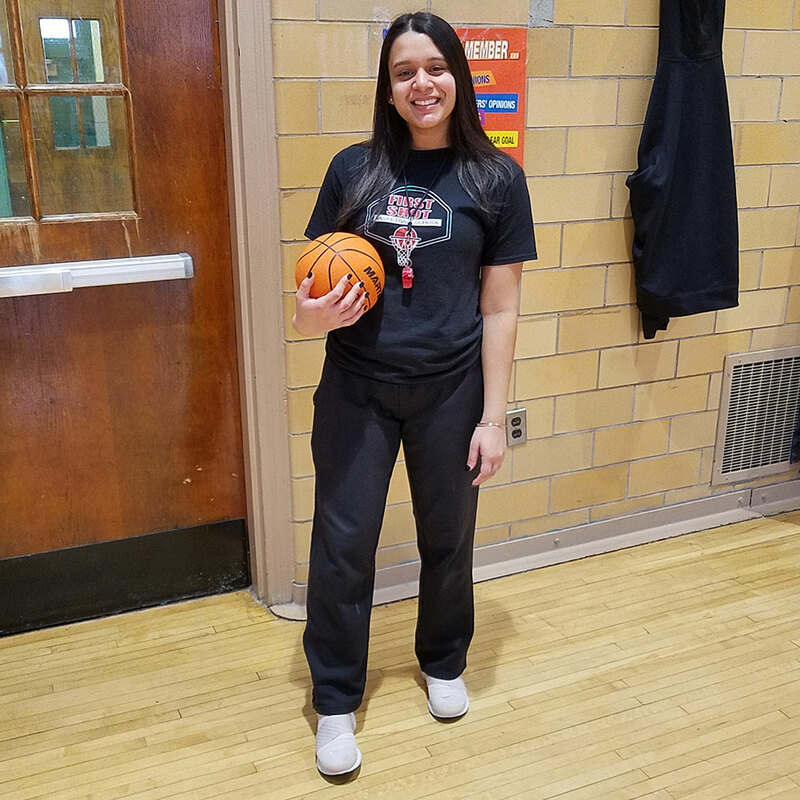 She brings experience teaching sports to young children and has set physical therapy as her vocational goal. The combination of Salena, basketball and kids is magical. When you see her, you’ll notice she’s always smiling. him. 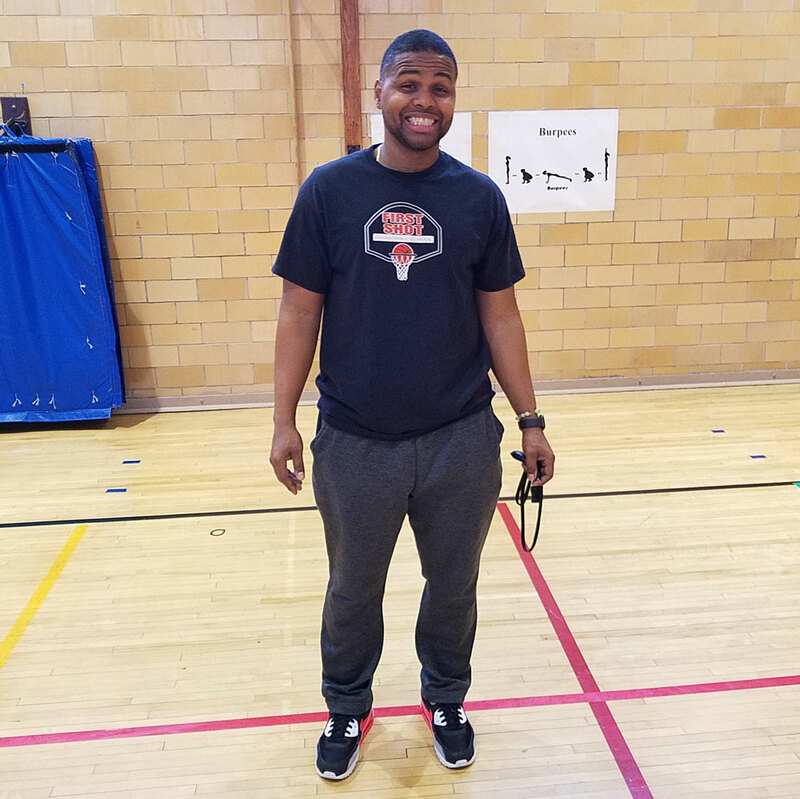 That warm, friendly smile and patient, easy going teaching style has turned some novice players into potential superstars. We’re happy to have him on board for 3 years now. 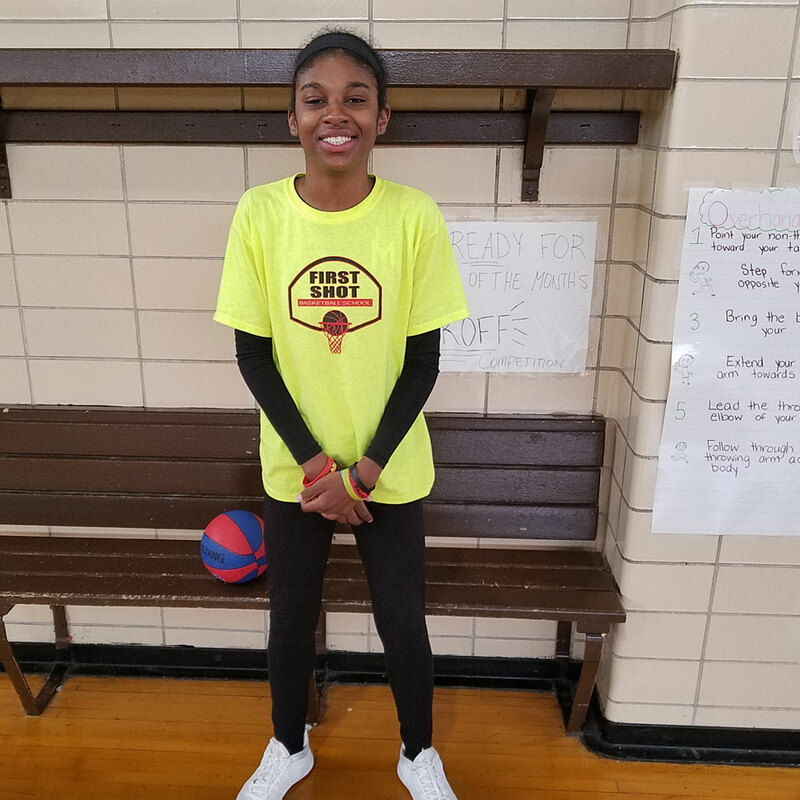 She may be small in stature, but Coach Mo is a powerhouse on the court. She played basketball in High School and served as Co-Captain of the women’s basketball team in College. It is easy to see how much she enjoys working with the kids and how they are improving under her instruction. From the time Jeff joined us a year ago, his exceptional leadership and teaching skills were evident. 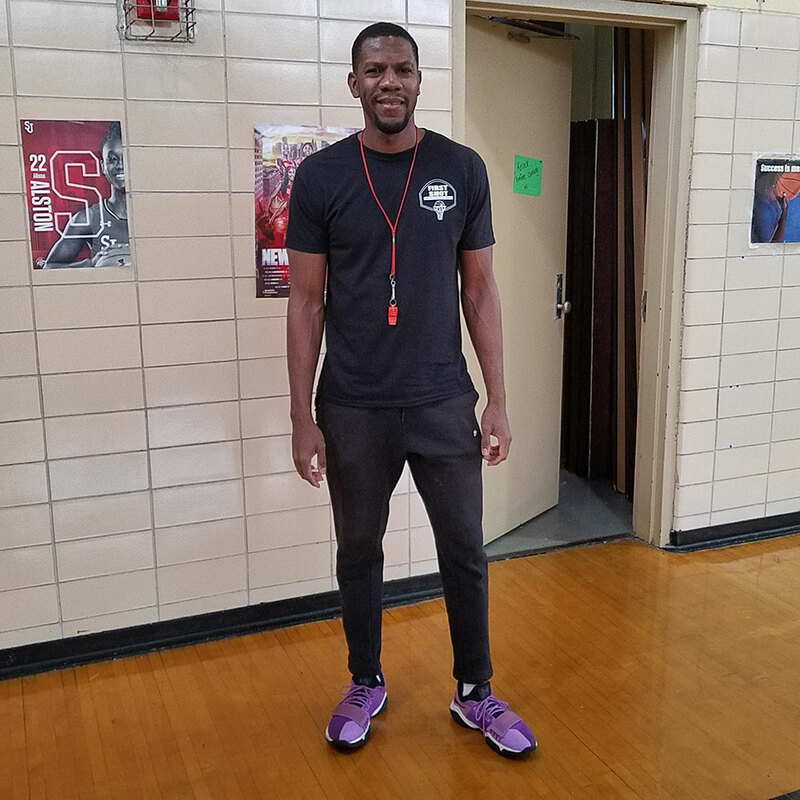 He brings 10+ years playing and facilitating basketball and played colligate and semi pro levels. Jeff worked as a recreational coordinated in a social service agency volunteering his time to help at risk youths. We are excited to have him as part of the First Shot family. Brought us his passion for teaching the game along with his upbeat personality about a year ago. 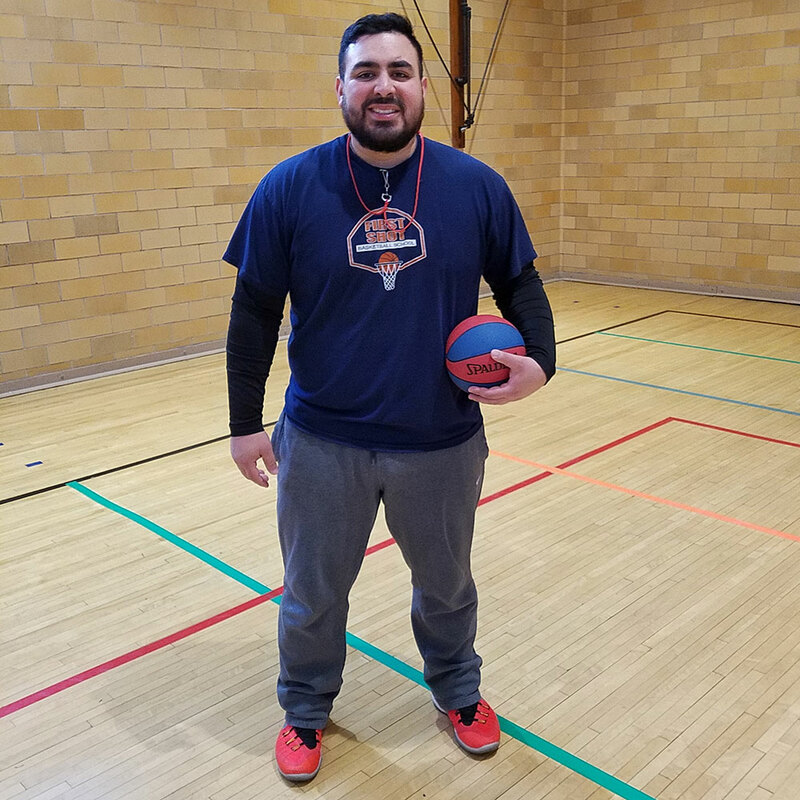 He is a sports activity specialist whose vast experience covers a variety of instructional skills across a diverse age group. 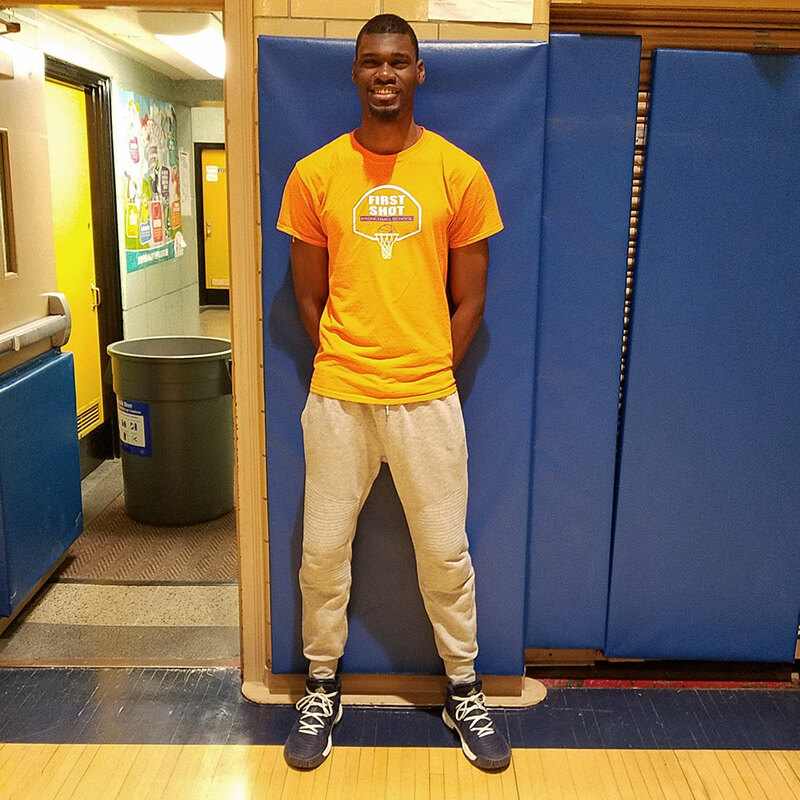 His excitement for the game works to motivate our students and his winning attitude is a perfect fit for First Shot.